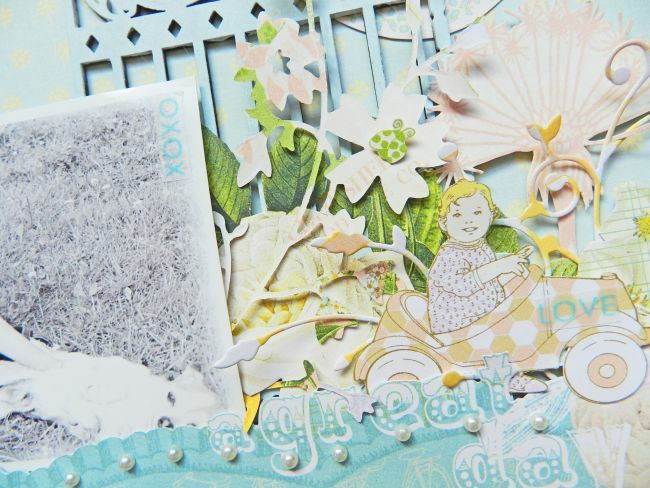 Erin Blegen: My Scrap Cabin: "A Great Day" w/Webster's Pages~! Hi everyone :). I'm so happy you checked in today because I've got some Webster's Pages inspiration for you, featuring one of their newest releases, New Beginnings~! So let's take a look, shall we? This is a photo of Gunner and our Chihuahua, Luxor, taken last summer. My kids all love animals- and all of them really do so great with them. They've never had that "grab and pull" instinct that most kids seem to have when contacting animals. They have always been so gentle :). 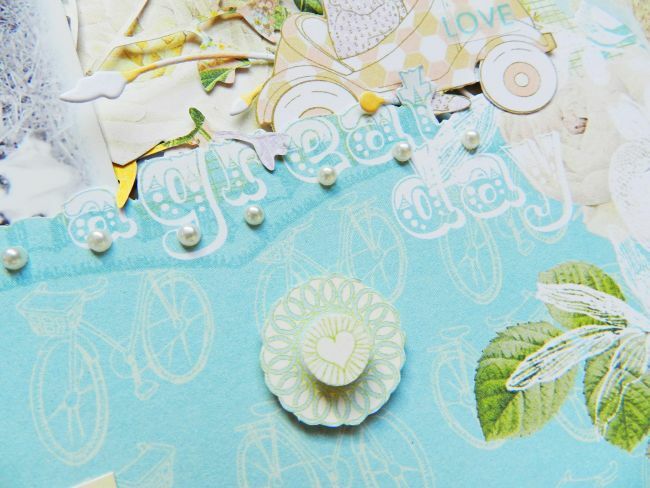 Along with the New Beginnings papers, I've incorporated the die cut paper from the Sunday Picnic collection. I have a habit of stashing these beautiful die cut papers and not using them- so I thought it was time to put this one to use as it coordinated so well with New Beginnings :). I combined some fussy cutting and die cutting on this layout. What I love so much about Webster's Pages papers are there are always so many images to choose from and mix together. Makes creating even that much more fun~! The XOXO and LOVE details were cut from some of the *new* washi tapes offered by Webster's Pages. I used one of the rolls from the New Beginnings Washi Tape Set. The hearts on the tree here were also cut from the same roll of washi tape. 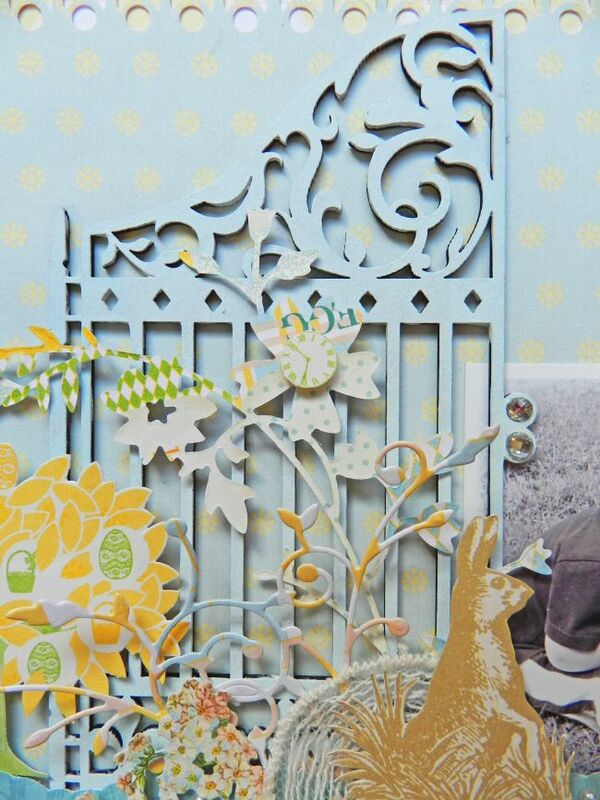 This stunning chipboard gate is new from Blue Fern Studios. I first painted it with gesso before simply covering it with this beautiful pale blue ink courtesy of the brand new Pastel Blue Chalk Edger Pad from Prima :). 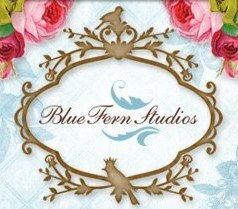 How gorgeous this is..I love the blue gates.. beautiful layout! This looks so gorgeous, Erin! I just love how you focused your design on top of the lay-out and did the journaling below it. The fence also looks so pretty. This is sooo beautiful and really makes you think of spring, which I really think, we all long for now, and this just makes me smile for some reason and feel that now the speing is really here. Stunning work Erin really gorgeous. Beautiful!!!! 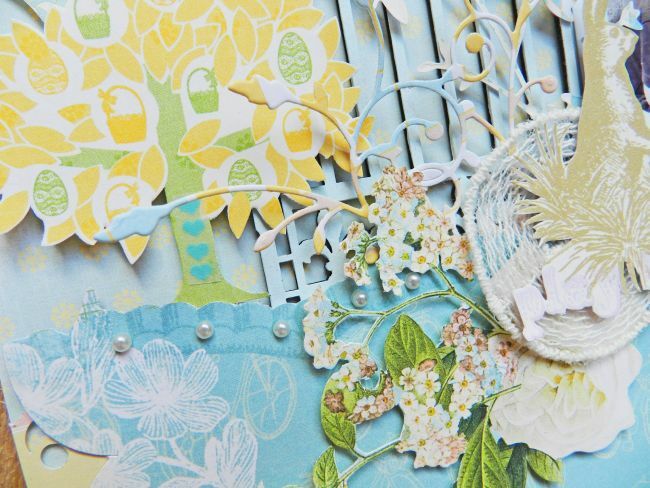 Love the pale colour scheme - that beautiful blue and just LOVE YELLOW right now!! Love the design and offcourse the sweet colours as usual! And the picture is so lovely. I think it is very important teaching children how you treat pets. I have 8 children and we had a very small house. But one of the dogs was always sleeping in the middle of the hall on her back!! No protection and in a deep sleep. That was for me the sign, that she was never treated bad by the children. WE learn them by our behavor to animals. Have a nice day! 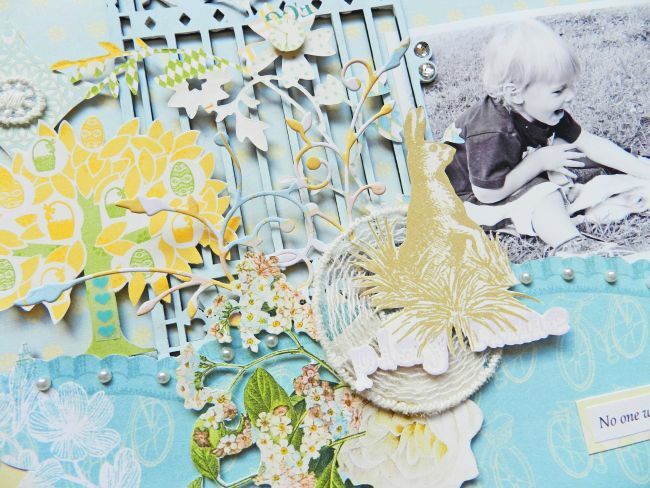 How adorable and perfect layout for spring! Hvor er du dygtig til at skabe et sener-ri, havelåger, dyr planter og en lille dreng der leger, flot LO. knus morkaren. This is so precious and beautiful Erin!! And you are right about animals. My dd is exactly like that. 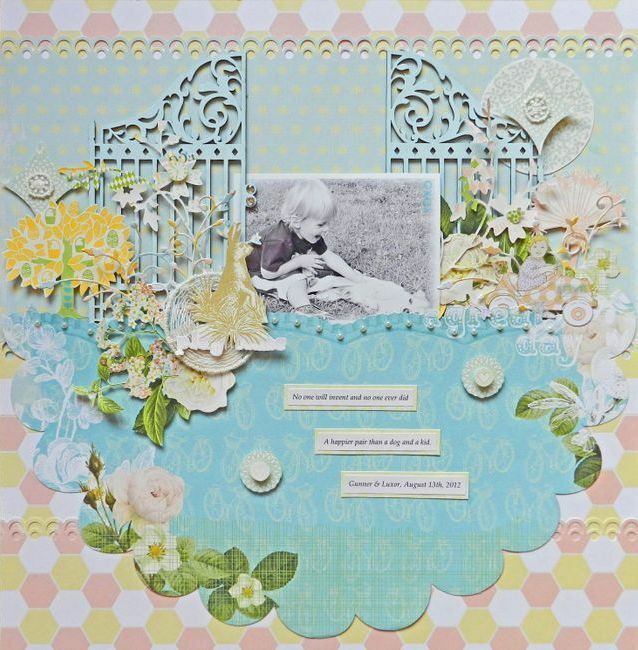 Love the gorgeous scene you created Erin and the gate pieces look so pretty on your page! Beautiful layout! 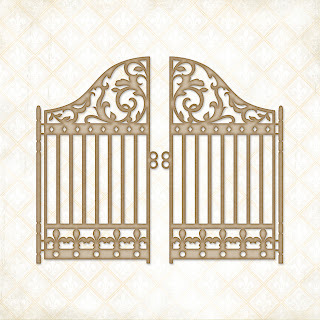 - That gate is amazing!! Fantastic! Wow, can´t tell with words how beautiful this is!! I really love how you use chipboard, always amazing dimension, such a pretty layout!